There was great enthusiasm in the Indian gaming industry when the U.S. Supreme Court rejected state banning of sports betting. However, since that judicial decision in May 2018, there have only been a few states to enact sports betting legislation and only two Indian casinos to open sports books. Many tribes welcome the new business opportunity but have concerns about regulatory challenges, the low profit margins and state appovals. 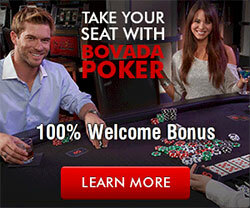 Also, many Indian casinos are not in an advantageous location to make it a viable business. The first tribe to offer sports betting was the Mississippi Band of Choctaw Indians at their Pearl River Resort in Choctaw, Mississippi. The second was the Santa Ana Pueblo at their Santa Ana Star Casino Hotel near Albuquerque, New Mexico. The Mississippi Band of Choctaw Indians were the first to open a sports book within an Indian casino not in Nevada. The Pearl River Resort opened sports betting Aug 30, 2018 at its Siver Star Hotel & Casino and Golden Moon Hotel & Casino. The Santa Ana Pueblo opened its sports book at the Santa Ana Star Casino on Oct 16, 2018, New Mexico does not have sports betting lregulations, but terms in the gaming compact between the state and the tribe allows the tribe to operate every types of Indian gaming regulated by the U.S. Interior Department. Many more tribes are preparing to introduce sports betting at their casinos during 2019. 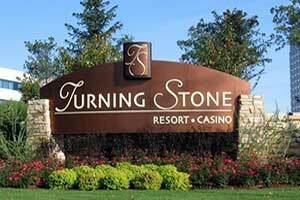 May 14, 2018 - The Oneida Indians are preparing to offer sports betting at their Turning Stone Casino and intend to introduce it very soon. ... Read more National Indian Gaming Association Supports Sports Betting April 25, 2018 - The federal office of the National Indian Gaming Association (NIGC) issued a resolution in support of Sports Betting while protecting American Indian owned casinos. 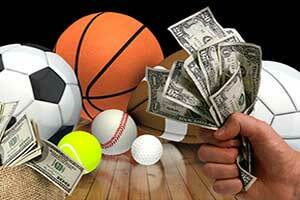 ... Read more Sports Betting at Indian Casinos is Coming? 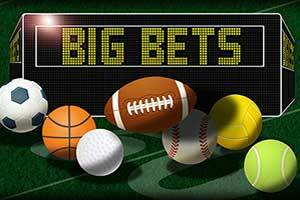 On Thursday the first betting facility to offer sports betting took the first bet. It took place at Monmouth Park Racetrack. A $20 wager was placed on Germany to win the World Cup by Gov. Murphy. He also placed another $20 bet for a 2019 championship for the New Jersey Devils. 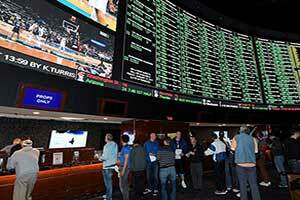 New Jersey has been supportive of the legalization of sports betting. The state's casino industry has suffered for the last few years. 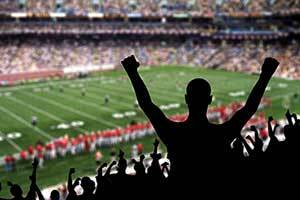 The addition of sports betting is seen as a way to add additional revenue source to the industry. The new game has been estimated to earn the state millions in annual taxes. 13,000 additional jobs will be created from the operation of sports betting. The first casino to offer sports betting was the Borgata in Atlantic City. 30 minutes after Monmouth Park Racetrack took their first bets, the Borgata began taken bets. Gambling fans celebrated the ruling by the U.S. Supreme Court. 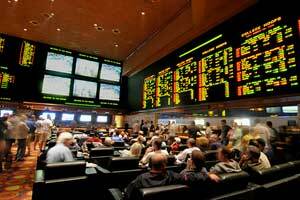 Previously Nevada was the only state that offered Sports Betting. On June 28 the Ocean Resort Casino opened. It is located in the previous Revel Casino location. 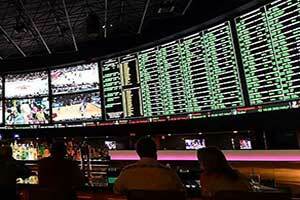 A sportsbook is being developed at the center of the casino. A date to begin offering Sports Betting has not been announced. By NFL season the Golden Nugget is also expected to begin offering the game. Next month Meadowlands Racetrack will begin Sports Betting operations. On Monday sports betting was legalized in the state of New Jersey. Gov. Philip D. Murphy signed the bill in private. Afterwards an email was sent to news outlets announcing the approval. Gaming will be allowed to start this Thursday. Sports betting will be allowed to be operated at both casinos and racetracks. The licensing at racetracks will be regulated by the New Jersey Racing Commission. On Wednesday the commission is scheduled to meet. Sports betting operators are expected to begin submitting their requests. It is possible that the licenses will be approved during this time. The New Jersey Division of Gaming Enforcement regulates the casinos in the state. Reviewing applications, enforcing regulation, and approving licenses for the sports betting is also expected to quickly begin. 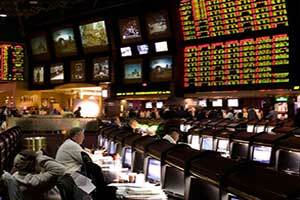 Currently, the Borgata Hotel Casino and Spa is expected to be the first casino ready to begin offering sports betting. The horse racing track owned by the casino has previously turned some of the betting windows into a sports betting site. This is a temporary arrangement. A permanent will be added at a later time. The casino hotel is owned by MGM Resorts International. Plans to develop space to operate sports betting is being planned at the other six casinos in Atlantic City. After the bill was singed, online sports betting can start 30 days later. It has taken many years for the approval of sports betting to pass. The U.S. Supreme Court ruled last month that the previous law would be overturned and lifted the ban on nationwide sports betting. On Thursday the bill was approved by the New Jersey law makers. However, the bill needed final approval from the governor before it could become law. As questions arise from the Supreme Court ruling on - Murphy v. National Collegiate Athletic Association the NIGC is issuing the following statement. Gaming by tribal nations as a means of generating governmental revenue initially began as an exercise of the inherent authority tribal nations have over their lands and predated the Indian Gaming Regulatory Act of 1988. While IGRA set forth a statutory framework for the regulation of Indian gaming, it explicitly recognized that a principal goal of federal policy is to promote tribal economic development, tribal self-sufficiency, and strong tribal government. 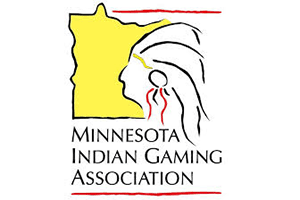 In the nearly 30 years since IGRA was passed, the Indian gaming industry has grown, matured, and evolved in ways that almost no one could have predicted at the time. And while that growth is due primarily to the ingenuity and hard work of the tribal communities that built the industry, it has occurred in the context of a piece of legislation that was enacted with core tribal self-determination goals in mind. 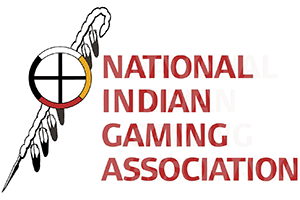 The NIGC takes seriously its role to regulate the Indian gaming industry to ensure these goals are achieved. The NIGC understands the unique and often complex nature of tribal gaming and the difficult questions it sometimes poses related to issues such as jurisdiction and permissible gaming. Moreover, we have worked with gaming tribes on a daily basis and have developed a deep knowledge of the industry. Should new opportunities be made available through legislative changes, we are prepared to continue to fulfill our statutory responsibilities to regulate gaming on Indian lands. As Federal regulators, we have learned first-hand that there is tangible benefit to having tribes, as primary regulators, driving decisions as to how gaming will operate on their own lands. As Federal and State Governments consider how to address sports betting in light of yesterday's decision, we anticipate that Tribes will be given a seat at the table to voice their positions, bring their perspectives and collective expertise, and maintain regulatory and operational control over all the gaming that occurs on their lands. A resolution that would support sports betting was approved last week by the National Indian Gaming Association. However, that approval comes with conditions that would protect Native American owned casinos and their futures. Currently Nevada is the only state where sports betting is legal. The nationwide law is being challenged. 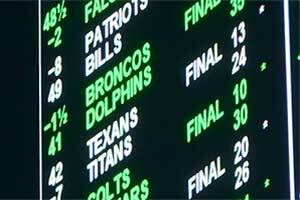 It is possible that other states will begin allowing sports betting. As of January, of this year, it was unclear if the change in the law would be supported by the National Indian Gaming Association. When a new tribal owned casino is proposed, the tribe and the state enter into an agreement called a gaming compact. The compact outlines how the casino operation and how tax revue money made from the gaming will be spent. This is required under the Indian Gaming Regulatory Act. Sports betting is a new category of gaming that would be a new venture for many states. If the current law is changed, this would bring a new challenge to tribal gaming. Legal battles would occur to determine who has the gaming rights to the game. That could depend on the current laws within those states. The National Indian Gaming Association sports betting framework outlined the terms that would be accepted. There are nine elements. Gaming compacts must be protected under the Indian Gaming Regulatory Act. Also, the Act should not be amended. Revenue made from sports betting would not be taxed if operated at a tribal owned casino. Tribal governments have to be acknowledged as such and given the authority to be able to regulate the games. Sports betting websites owned by Native American governments may be accessible by guests as long as sports betting is legal where they are located. The economic impact of sports betting must be beneficial for the tribal governments. Responsible gaming must be protected for the guests as well as maintain the integrity of the game. Online gaming and mobile gaming would follow the same principles. Native American tribes would be allowed to have access to multiple markets under any regulation set by the federal government. There are close to 250 tribal owned casinos in the United States. Sports Betting at Indian Casinos is Coming? 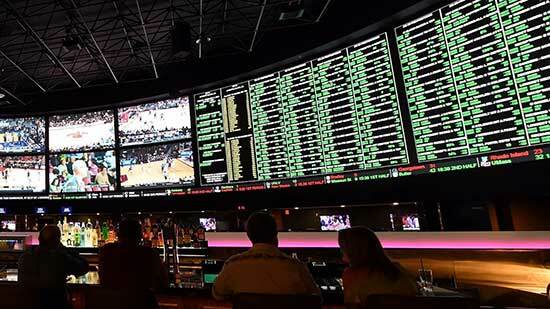 The future of sports betting in the United States is in question. It is being heard by the Supreme Court and a ruling is coming on the Christie v. National Collegiate Athletic Association. 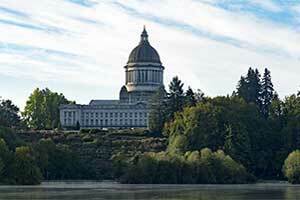 The outcome of the decision could determine the future of tribal owned gaming. In 1992 the Professional and Amateur Sports Protection Act went into effect. The law prevents sports betting from being approved or sponsored by either tribes or states. Some states were allowed to grandfather in their laws that allowed sports wagering. However this federal law is being challenged by the state of New Jersey. This issue is over if the Act is constitutional. On December 04, 2017 arguments began being heard. If the court sides with New Jersey, then tribes and states would have the right to approve sports betting. However, it would not federally authorize sports betting country wide. The Indian Gaming Regulatory Act oversees the regulations of tribal gaming including the future of sports betting operated by tribes. Under the IGRA tribes can operate commercial casinos. However only certain types of gaming can be conducted at these casinos based on the type of gaming that is approved by the state were they are located. 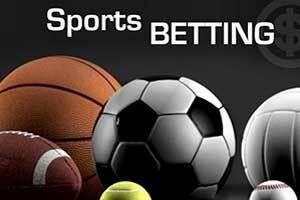 It is uncertain what type of gaming category that the sports betting would fall under and if that would be approved by the state. If it is not approved by the state, then the tribes cannot operate that type of gaming. However, the tribes believe that they alone should have the authorization to approve which types of games they operate. Not the state they are located in. Last week ICE Totally Gaming was held in London. The future of sports betting and tribal gaming was a large topic at the convention. There was a panel held for the topic called 'understanding the opportunities and complexities of rolling out sports wagering for tribal casinos'. During this panel it was mentioned that many of the existing business partnerships they have prefer to work with Native American tribes because they can move faster on projects and trying new platforms than state approved casinos. The state of New Jersey has expressed interest in offering sports betting. American Indian Tribes have the majority role in the sports betting and gaming industry. Many tribes have compacts that allow for gaming exclusivity. However, states are looking at ways to increase tax revenue and gaming is of interest. The United States has 248 tribes that have a gaming operation. They are located in 29 states. In order for these tribes to operate gaming, there has to be an agreement made between the tribe and the state. The agreement describes issues like what types of games will be offered, tax payments, regulations, and more. This is done under the Indian Gaming Regulatory Act. There are different terms and conditions formed with the compacts. This is because each compact in an individual negotiation. Some of those compacts have exclusivity clauses. Meaning, only that tribe can offer that type of game. 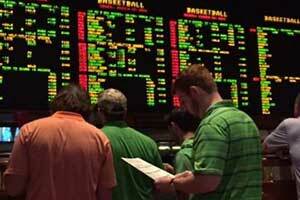 If a state becomes interested in offering sports betting, the matter becomes very complicated. The verdict over allowing sports betting around the country is expected by the end of the year from the Supreme Court. It is possible that as early as June of this year that sport betting could be allowed in each state. 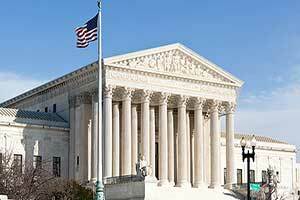 The U.S. Supreme Court is expected to make a decision that would allow for individual states to choose if they want to allow sports betting. A major issue revolving around sports betting has to do with Indian Tribal gaming. It is a $100 billion industry. Currently Native American tribes have control of sports betting in California, Connecticut, and Florida. There are also a few areas in in the mid-west, including Oklahoma, where the controlling power is the National Indian Gaming Association (NIGA). The NIGA wants to be able to have a say in the future of sports betting. Recently there was a report that was released by the American Gaming Association (AGA) about how tribal gaming effects each state's economy. 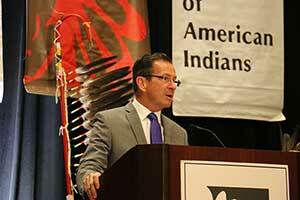 The report was titled "The Economic Impact of Tribal Gaming: A First-Ever State-by-State Analysis". The report revealed that tribal gaming contributes employee salaries of $33 billion. It has also created and supports 635,000 jobs. The federal, state, and local governments have received $16 billion in taxes from gaming at tribal casinos. In total there are 485 tribal owned casinos. There are 565 tribes involved with the operation of 244 gaming venues. There are 28 states with tribal owned casinos. States are not interested in risking the loss of tax revenue earned from Native American casinos. The Seminole Tribe of Florida own and operate the Hard Rock Casino brand. They have entered into law suits where other forms of gaming can affect their casinos' business. Previously there was a proposed bill in Florida that would have allowed for daily fantasy sports. A formal letter of complaint was issued by the tribe in order to stop the bill from passing. Under their compact with the state, they have exclusive rights to gaming. This includes the decision of what types of gaming to offer. The courts sided with the Seminoles and the gaming compact was defended. In other states where tribes have exclusive rights to what games are offered, allowing sports betting and other forms of gambling can be complicated. This includes forms of online gaming. California is currently considering sports betting and online poker. It is being debated over who will be allowed to operate it. The state is undergoing very large casino expansion projects. The Pechanga Resort & Casino is spending $285 million in expansion and renovations. $170 million is being spent by the Pala Casino Resort and Spa for their projects. A new hotel tower with 500 guest rooms is planned for the San Manuel Casino. Many Native American tribes that have casino operations are preparing for potential lawsuits if their state begins to offer sports betting. The tribes will sue in order to protect their businesses.